Back in the olde days,1 if a band took two years between releases they were considered to be “on sabbatical.” Nowadays, if a band puts out an album faster than every two years, we wonder why they’re rushing things. An album a year used to be the rule, and that’s a rule that Cracked Machine seem to be adhering to early in their career. The Call of the Void comes hot on the heels of the Wiltshire quartet’s 2018 debut, I, Cosmonaut. Maybe it’s easier to write post-rock songs with psychedelic overtones, or maybe these fellows just have a lot of ideas swimming around in their heads. Regardless, the band is back with an album that aims to be slightly heavier than their debut. Let’s get right to it. “Typhon” is an absolutely splendid song, with a gripping arrangement. An epic riff slowly fades in, with undulating waves of synths sprawled beneath and laid-back drums easing the rhythm forward. The riff builds and mutates throughout the first half of the song before leaving the distorted bass to carry us through to the second half of the song with a thicker take on the riff. It’s a seven-minute song that feels more like four. The album also ends beautifully with a somewhat tranquil song, “Vritra.” This ditty is nearly nine minutes, the longest song on The Call of the Void, but like “Typhon” is built around a compelling arrangement. Unlike that song, however, “Vritra” is all about the feels, with delicate guitar lines and synth patches, plenty of reverb on the drum kit, and an overall feeling of contentment. Both songs are prime examples of how to write and play compelling post-rock. The problem is that there are five songs on The Call of the Void before those two, and none of them strike a memorable chord. They all vary slightly — “Jormungandr” is riff-based, “Illuyanka” is melodic, and “Kirimu” is more focused upon the bass guitar — but the arrangements of each song are static. “Jormungandr’s” riff meanders along for six minutes, and although it’s certainly a solid riff (and the keyboards and rhythm section match it perfectly), the arrangement is a bit too predictable. It’s the best of the first five songs, though, as subsequent numbers do not manage to differentiate themselves at all. They sound good if listened to in a singular context, but with each of the songs possessing a similarly stagnant arrangement, we quickly lose interest. 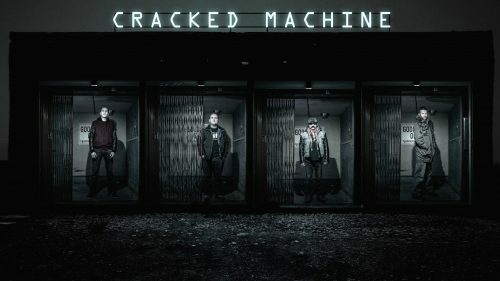 Musicianship and sound quality are by no means issues with Cracked Machine. The rhythm section of Chris Sutton on bass and Blazej Gradziel on drums are locked in perfectly, laid back and grooving on every track. Clive Noyes could give lessons on selecting the right synth patches to use: I absolutely love all his choices here. And founder Bill Denton is more than capable on the guitar. Production and mastering are both lovingly applied as well, with a very impressive soundstage presented and all instruments mixed to perfection. If we could just trade in a couple of the staid opening tracks for something more compelling, The Call of the Void could be special. The best instrumental post-metal will make you stop what you’re doing and listen; it won’t be background noise for household chores. Russian Circles are the benchmark for this kind of music: they have the ebb and flow of post-metal mastered, and keep listeners engaged every step of the way. 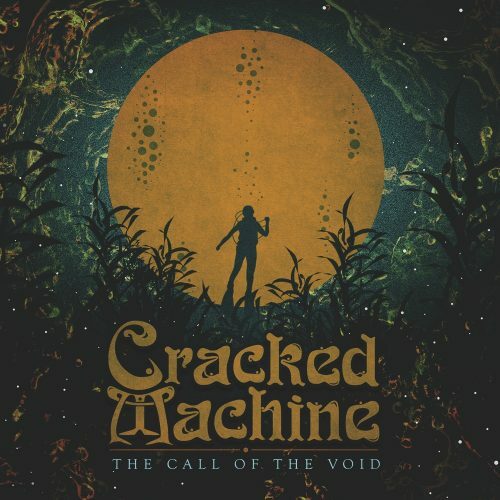 While Cracked Machine manage to do this beautifully in the final pair of songs on The Call of the Void, overall the album just isn’t memorable enough to hold up over multiple listens. It’s clear the band has talent, as well as songwriting chops. Now they just need to execute across an entire album.